Going to Bodega is kind of my own personal signal that summer has officially started. For the past four years Bodega French Restaurant the first stop on my Summerlicious itinerary. So why is Bodega my favourite? Well, there’s a few things. First, it’s in Baldwin Village on the very quiet and quaint Beverly St. This wonderful little enclave of restaurants north of Dundas feels like a getaway from the usual downtown core. The interior of Bodega is cosy and is the popular spot for couples, but as I dine alone quite a bit, the patio is a great place for single dining and people watching. Second, Bodega’s Summerlicious menu is one of the best values on the list of restaurants. 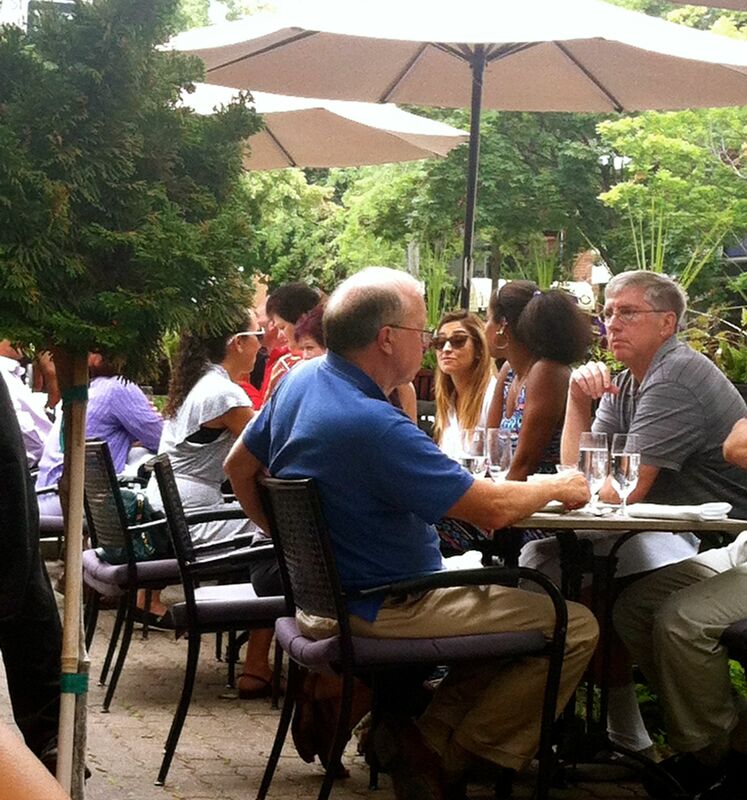 For an extra $3.00 to the Summerlicious $20.00 lunch menu you can get a glass of house wine. An option I always take. The multigrain bread is homemade and served to you slightly warm, a great start with my glass of white. Rabbit terrine is a regular feature of the Summerlicious menu and a choice I look forward to every year. The crispy skinned duck leg confit is savoury and tender. The grilled Stealhead is a rustic dish of trout atop a bed of quinoa topped with mustard sauce. Third, the service is very attentive. A very hard-working efficient wait staff make sure that water glasses are refilled, orders arrive at the same time and are hot and well-timed. I whiled away the afternoon with my wine watching the lunch crowd slowly leave. I am firm believer that there’s always time in your life for traditional French food, don’t you? Enjoy the Summerlicious 2014 opportunity to try the menu because there are only a few days left.